Marvin Junior and Teddy Perdergrass have a lot to answer for. 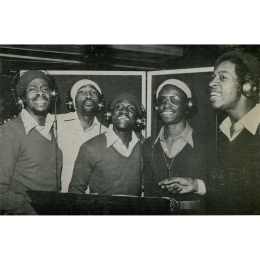 Their gruff hard edged vocal style as lead singers with the Dells and Harold Melvin’s Blue Notes had a huge influence over group singers throughout the 60s and 70s. Lifestyle started out as first as Ferguson Davis and jones,mutating into Ferguson Davis and Lee. They cut delicate sweet soul like "She's Gone" and "Must Be Going Out Of My Head" for GRT and Chess. By the mid 70s they’d changed their name to Lifestyle and their New York/Philly recorded eponymous album is one of the great underground group sets of the decade. Production was expertly handled by Billy Jackson, who also helped the group with the songwriting. Their sweet soul background is obvious on tracks like the fine “Love Can Make You Cry”. Catchy uptempo cuts like “Just Want To Be With You” balance the LP nicely but the cut I want to feature here is the ballad This Dream with it’s beautiful melody, superb arrangement (you gotta love that meandering tenor sax), fine harmonies, and, above all a compelling “hard” lead vocal. I’m Gonna Love You is almost as good – another lovely Philly ballad of distinction. It was unusual to find an LP with such classic soul group tracks as this in the middle of the disco boom in 1977. Perhaps that's why it received so little attention. 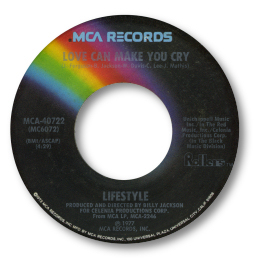 Lifestyle were Jerry Ferguson, Johnny Mathis, Wade Davis, Charles Lee and Shedrick Wooden. UPDATE ~ Tom Diehl has been in touch with details of another relaese by this group as NEW LIFE - now included in the discograpy above. I'm grateful to Tom for this info.